Finished in a single Moscatel sweet wine cask. 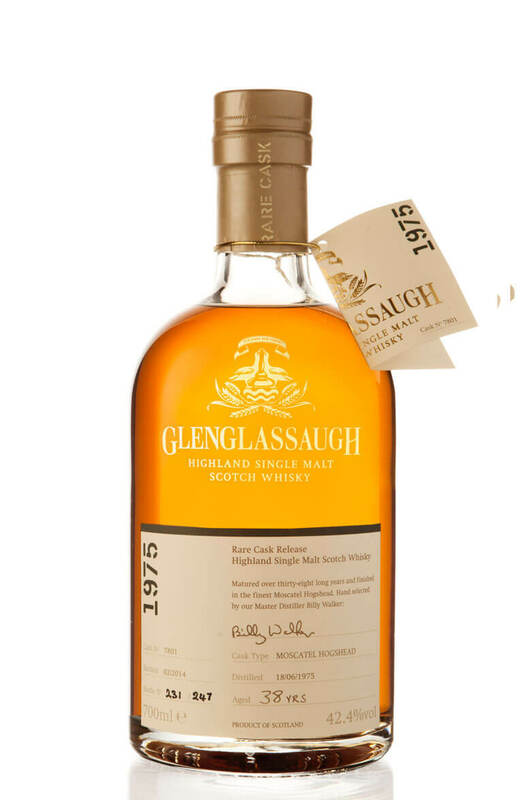 This is part of Glenglassaugh's rare cask series and was distilled on June 8th 19875. Just 247 bottles were released. Types of Barrel used for Aging Finished in a Moscatel wine cask. An incredible 45 year old single cask whisky from Glenglassaugh. This is part of their first seri..
An amazing single cask of Glenglassaugh single malt that has spent it's entire 41 years in a ref..
Distilled on 5th December 1973 and bottled in February 2014. This is an extremely rare single cas..
One of the stars of Glenglassaugh's first batch of rare cask releases. This was finished in a si..
A special release from Glenglassaugh as one of their rare cask series. This was distilled on October.. This 28 year old has been finished in a single hogshead and was distilled on 19th February 1986. Jus.. Finished in single port wine cask. This bottle is part of Glenglassaugh's first series of rare c..